With the great success of Nano 2017, Conference Series llc Ltd is proud to announce the “26th International Conference on Advanced Nanotechnology”, to be held during October 04-05 2018 Moscow, Russia. On this auspicious occasion, Organizing Committee invites the participants from all over the globe to take part in this annual flagship conference with the theme “Exploring innovative strategies and solutions towards a Nano world”. Advanced Nanotechnology 2018 aims in proclaim knowledge and share new ideas amongst the professionals, industrialists and students from research areas of Nanotechnology, Materials Science, Chemistry and Physics to share their research experiences and indulge in interactive discussions and technical sessions at the event. The Conference will also have a space for companies and/or institutions to present their services, products, innovations and research results. If your company/organization is interested in participating in this event, contact us here. Advanced Nanotechnology 2018 offers a fantastic opportunity to meet and make new contacts in the field of Nanotechnology & Materials Science and Engineering, by providing collaboration spaces and break-out rooms with tea and lunch for delegates between sessions with invaluable networking time for you. 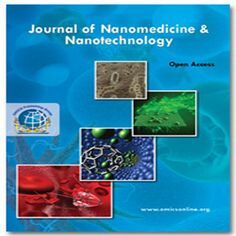 It allows delegates to have issues addressed on Nanotechnology by recognized global experts who are up to date with the latest developments in the Nanotechnology field and provide information on new techniques and technologies. This International Nanotechnology conference will feature world renowned keynote speakers, plenary speeches, young research forum, poster presentations, technical workshops and career guidance sessions. The report is especially intended for entrepreneurs, investors, venture capitalists, and other readers with a need to know where the nanotechnology market is headed in the next 5 years. Other readers who should find the report particularly valuable include nanotechnology marketing executives and government officials associated with the National Nanotechnology Initiative and other state-level programs that promote the development of the nanotechnology industry. The report’s findings and conclusions should also be of interest to the broader nanotechnology community. World-renowned speakers, the most recent techniques, tactics and the newest updates along with the Advances in the fields of Nanotechnology. The joy of attending Advanced Nanotechnology 2018 brings with it improvement and incremental growth in your approach to do things, in the broader manner to see things and the beauty to live international diversity. Come be Part of it...!!! With the great success of Nano 2017, Conference Series llc Ltd is proud to announce the “26th International Conference on Advanced Nanotechnology”, to be held during October 04-06 2018 Moscow, Russia. Advanced Nanotechnology 2018 is comprised of various tracks and sessions designed to offer comprehensive sessions that address current issues in the field of Nanotechnology and Materials Science. Nano chemistry is a new discipline concerned with the unique properties associated with assemblies of atoms or molecules on a scale between that of the individual building blocks and the bulk material. Nanochemistry is the use of synthetic chemistry to make nanoscale building blocks of desired shape, size, composition and surface structure, charge and functionality with an optional target to control self-assembly of these building blocks at various scale-lengths. Nano photonics or Nano-optics is the study of the behavior of light on the nanometre scale. It is considered as a branch of optical engineering which deals with optics, or the interaction of light with particles or substances, at deeply subwavelength length scales. 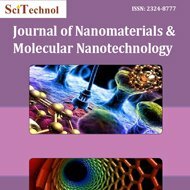 Nanotechnology is referred to as visualization, manipulation and modeling of atoms, molecules and macro molecular structure to create unique desired structures with enhanced properties and functionalities. Nanotechnology is one of the essential segment of advanced materials and chemicals industry due to the large R&D funding from a large number of federal agencies. The Nanotechnology market though well established, it is one of the fastest growing markets in the chemicals and materials. The market has evolved significantly over a period of time primarily due to incessant development and integration of technologies. As of 2017, so much progress has been made in nanotech research and development that commercialization is accelerating broadly. One factor boosting the adoption of nanotechnology is an increase in the manufacture and availability of carbon nanotubes, a basic nanomaterial that can be used in a wide variety of manufactured goods. These nanotubes have been shown to have highly valuable qualities, including incredible strength, extremely light weight and high conductivity of electricity. As nanotube supplies increase and costs drop, use will increase significantly. (Prices have fallen from hundreds of dollars per gram in the late 1990s to only a few dollars per gram today—depending on the exact specifications of the nanotube). 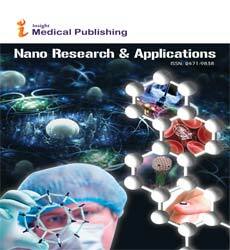 Investment in nanotechnology research and the market for nanotech products have expanded steadily. The U.S. government alone proposed $1.443 billion in nanotech research grants and projects for fiscal 2017. This was up significantly from only $0.464 billion in 2001. This budget aids the industry primarily through grants made via the Department of Health and Human Services, the National Science Foundation, the Department of Energy and the Department of Defence. Nanofibers market has an untapped potential for future growth owing to its superior capabilities such as high strength, optical and electrical quality and uniformity of layers. Manufacturers of nanofibers are constantly investing huge amounts in evolving new production techniques to improve the capabilities. Nano enabled packaging for food and pharmaceuticals industry has been growing at a double digit CAGR in the past five years and is witnessed to continue growing at robust rate. Nanocomposites are anticipated dominate the global nanotechnology market by type and are estimated to control around 60% of the total market revenue by type in 2021. 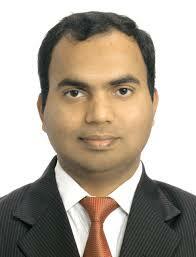 However, nanoclays and nanomagnetics are estimated to attain the fastest growth rate during the forecast period. The nanotechnology market is driven by the ever increasing application base of and increasing emphasis on renewable and sustainable energy sector with the use of low cost materials. Moreover, initiatives of government for nano R&D and investments of technological giants propel the commercialization of next generation nanomaterials. The nanotechnology market is driven by increased demand from the end-use industries such as electronics, textile, pharmaceutical, biotechnology, aerospace, food and many others. Growing demand for efficient and cost-effective healthcare treatment and diagnostics propels the adoption of nanomaterials in drug delivery and medical devices sector. This is yet another reason which will drive the growth of nanotechnology in the near future. Nanotechnology is a relatively new materials science that is slowly beginning to revolutionize many sectors of manufacturing. The long term outlook is exceptionally promising. Members of different Nanotechnology/Materials science associations. The speakers quality is very good. Nice presentations are many. In a small setting, researchers and scientists from all corners of the world are able to exchange ideas,and share findings. I highly appreciate the efforts and results of Advanced Nanotechnology 2018. My chair experience in this conference was so helpful because I could directly talk with prominent seniors and excellent attendees. I am grateful for the Conference too. I have met several researchers in my field that gives me some additional important data and discussions for my research. Thank you very much! Thank you for giving me the opportunity to be a moderator and plenary speaker for this conference and had a good time during this period in Moscow, Russia.